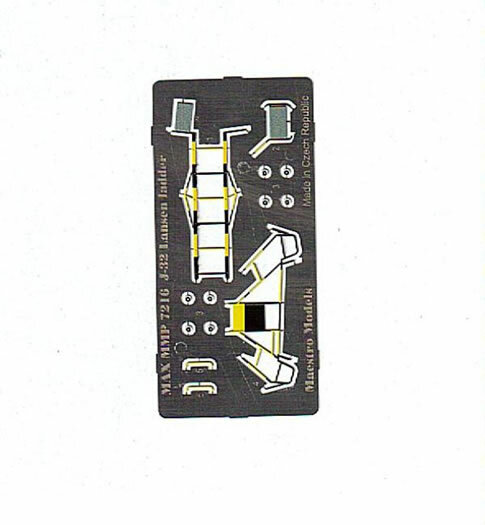 MMP7216 J32 Lansen photoetched ladder set for the 1/72 Scale Heller kit. 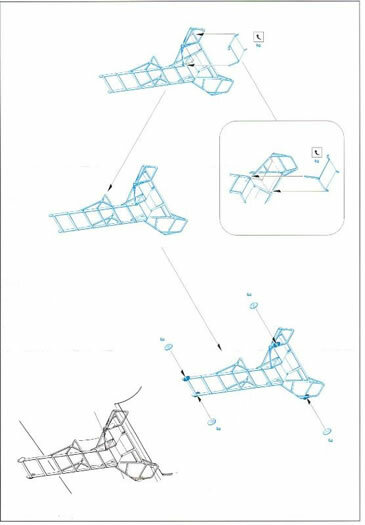 MMP7218 JAS39 Gripen photoetched ladder set for the 1/72 Scale Italeri kits. 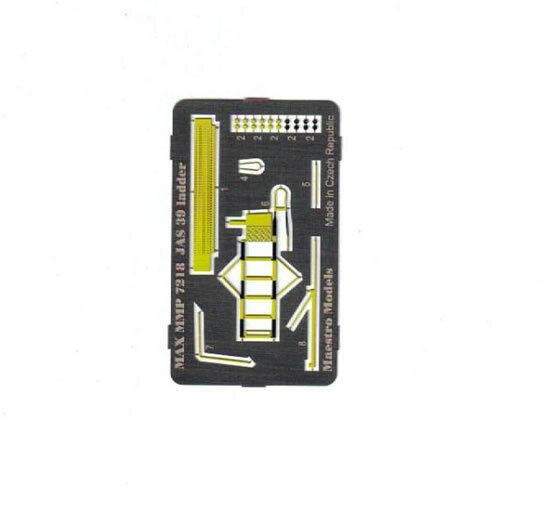 These photoetched metal sets come pre-painted in yellow and black (on both sides!) and are designed for use with the available 1/72 scale kits. They have been produced by Eduard for Maestro Models. Each set is comprised of just a handful of parts, with the Lansen’s ladder set having a few more pieces. The parts are very fine and will require some care to remove from the fret. 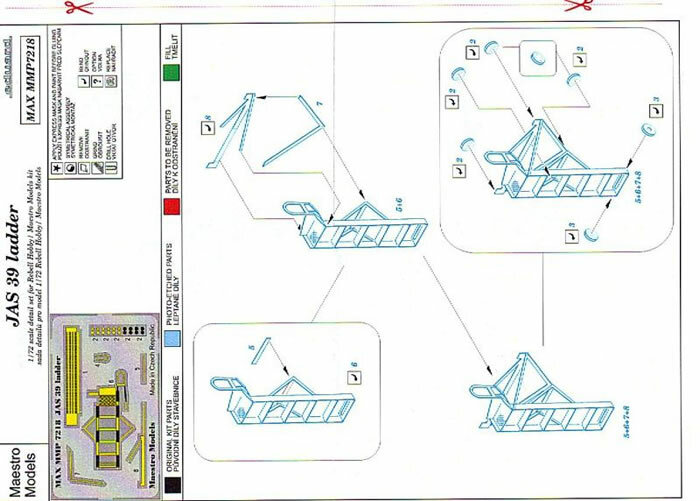 The instructions clearly illustrate the steps to follow in assembling the boarding ladders and identify where they should be placed on the kit. 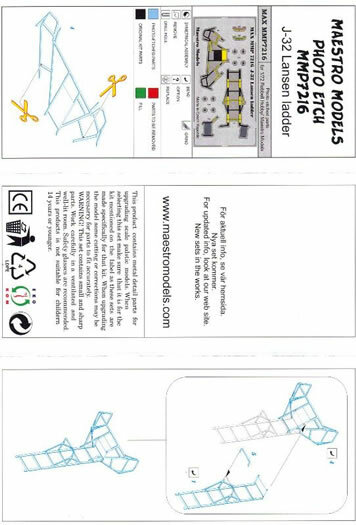 There is very little folding required and the modeller does not need a high level of experience with etched metal to be able to assemble these ladders. The pre-painting greatly assists with the finishing of the ladder; in fact, I can’t imagine being able to successfully mask and paint the pattern of yellow and black that these vital pieces of equipment wear. 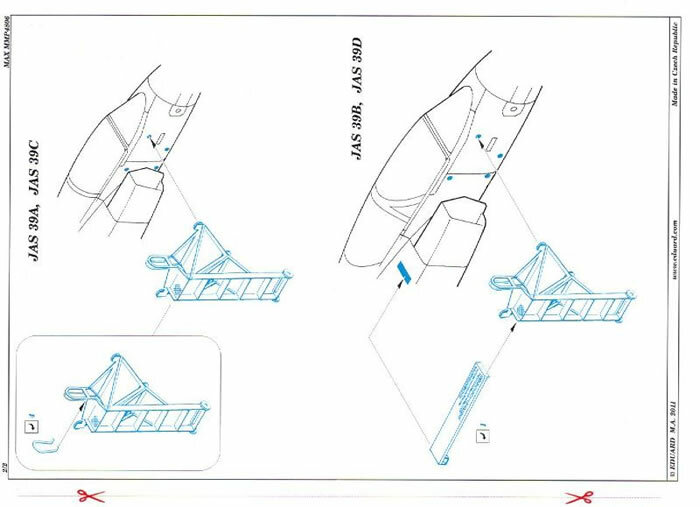 These sets will greatly enhance the appearance of your finished Lansen or Gripen and will really draw a viewer’s eye to the cockpit area of each. These ladders are highly recommended.